I’m Annie, an avid amateur chef, and a total geek when it comes to kitchen appliances. Every day you can find me in the kitchen plowing through my vast collection of cookbooks. But when I was getting started with my interest in cooking, I didn’t know where to turn for advice on which tools to buy and how to use them. Sure, there were a lot of retailers selling blenders, knives, grinders and more — but how can you trust a company’s description or a handful of brief online reviews? 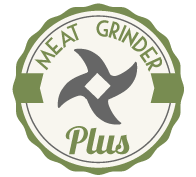 That’s why I launched this website, in order to share my experiences with meat grinders. Despite the name, they’re incredibly versatile tools that can help prepare a big range of dishes. I want to save other avid cooks the time and stress of taking a gamble on purchasing a meat grinder and to show them the detailed ins and outs of various models that I’ve tried. I won’t sugarcoat when there are problems with a particular grinder, but I’ll also happily talk about their benefits. This website will hopefully be a one-stop shop to learn about grinder technical specs, uses, and much more. Every home could use a meat grinder — but which one to get will depend on the person buying, the food they want to make, and more. I’m here to help make that decision easier.